Gilva Tisshaw is the most experienced family law solicitor currently working in Mid Sussex. She qualified as a solicitor in 1989, after studying law at Nottingham University. Gilva has worked in Haywards Heath since 1996 building up a wealth of local knowledge. Gilva was originally a founding partner of Hamnett Osborne Tisshaw. This company was de-merged in 2012 with Gilva deciding to establish a specialist family law firm. She is now Director of Tisshaws Family Law Solicitors, who specialise in supporting families through relationship breakdowns and is very proud to have built up a team of likeminded individuals who share her ethos. Gilva has a fantastic reputation in the legal profession, due to the exceptional quality of her work. She is a member of the Law Society’s Family Law Advanced Panel which is a national network dedicated to supporting families through the legal process. Gilva also sits as an Assistant Coroner in Brighton & Hove and is Honorary Secretary of the South Eastern England Coroner’s Society. She has also been President of the Sussex Law Society and remains an active member of the committee. When not in the office Gilva enjoys walking, particularly with her two dogs, horse riding on the South Downs, travelling and being a grandmother. Camilla qualified as a solicitor in 1988 after studying law at London University, Queen Mary College. 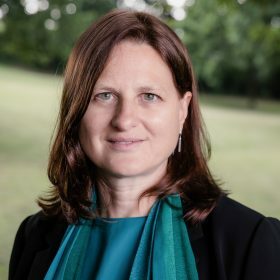 Camilla joined Tisshaws in March 2019 having previously practised exclusively in family law in Central London for over 30 years (the last 15 years of which she was a partner at her previous firm). 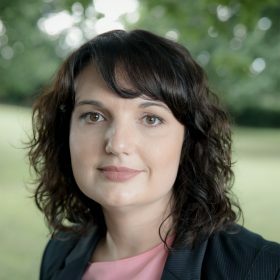 Although Camilla is an experienced litigator, she has a particular interest in alternatives to Court in family and relationship disputes and is a practising Collaborative Lawyer, so clients have a wide choice of approaches to their divorce and relationship breakdown. When not in the office, Camilla enjoys Mediterranean cooking and travel in South East Asia. Verity obtained her undergraduate law degree from the University of East Anglia and then went to BPP Law School in London. She qualified as a solicitor in 2007 and joined Tisshaws as an Associate Solicitor in October 2016, having previously practised primarily in Brighton. 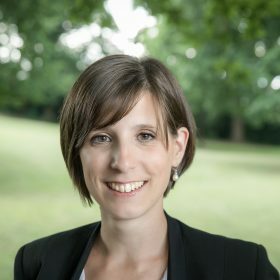 Verity has experience dealing with a wide variety of family issues including divorce and civil partnership breakdown, financial settlements and children matters. She also deals with non-matrimonial relationship breakdown. Verity qualified as a Collaborative practitioner in 2018. Verity is an active member of Resolution and Chair of the West Sussex regional committee. She is committed to resolving family matters in the most amicable way possible for the benefit of everyone involved. She prides herself on her high level of client care and her ability to help clients achieve a positive, cost effective, outcome to their situation. Away from the office Verity is kept busy by her young son and also tries to squeeze in as much running as she can. Craig graduated from the University of Nottingham, before going on to study at Nottingham Law School and the College of Law. He trained in London where he practiced both family and housing law. 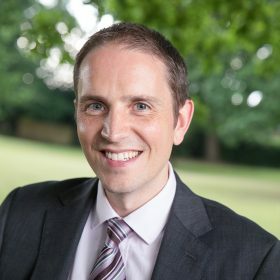 Craig qualified as a solicitor in May 2010 and was made an Associate in 2013. Craig enjoys travelling, visiting new countries and experiencing different cultures. He tries to keep active and enjoys going to restaurants. He is a keen Welsh rugby fan and frequently goes to Cardiff for matches. Hana studied Chemistry and Law at the University of Bristol, before completing her Legal Practice Course in 2008 at the College of Law in Guildford. She finished her training contract with a firm in Crawley before qualifying as a Solicitor in 2011. 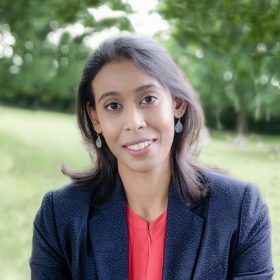 Hana joined Tisshaws as an Associate Solicitor in September 2016 and advises in all areas of Family Law including divorce, financial settlements, child arrangements matters and occupation orders or non-molestation orders. As a member of Resolution and a trained Resolution Family Mediator, Hana is committed to resolving matters as amicably as possible. If the case needs to go to court then she is highly experienced and will always strive for the best result. Hana has been praised for her constructive approach and ability to empathise. In her spare time, Hana likes to unwind with a good book and enjoys socialising with friends and family at the theatre, cinema or over a great meal! Lidia Farrell joined Hammnett Osborne Tisshaw in 2010 . Following the de-merger in 2012 Lidia was delighted to continue to work for Gilva at Tisshaws. Lidia has been advising clients in her capacity as a Graduate Member of the Institute of Legal Executives and qualified as a Chartered Legal Executive in 2015. Lidia deals with all aspects of family law including issues relating to separation, divorce, dissolution of civil partnership, finance, domestic violence and private law children matters. Lidia is also a fluent Spanish speaker and has advised and received various referrals from members of the Spanish speaking community. Her skills have also proved useful in financial matters with Spanish property. Lidia is committed to obtaining fair and practical solutions through negotiation avoiding court proceedings where possible. Lidia is approachable and friendly and strives to achieve the best result possible for her clients. When not working Lidia enjoys playing squash, cooking and socialising with friends and family.